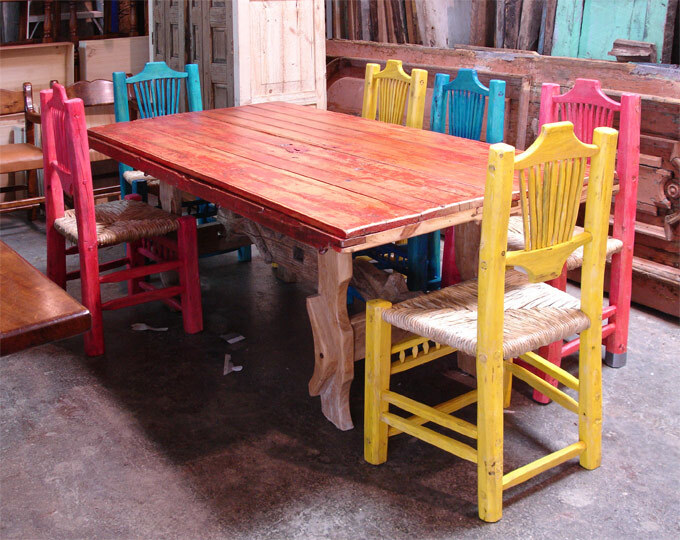 Casa Mexicana Imports offers a variety of styles in chairs and benches to go along with our dining tables or just to stand alone. 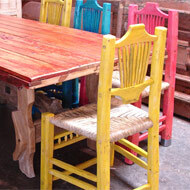 These chair frames and benches are made from mesquite, rosa morada or mango wood. 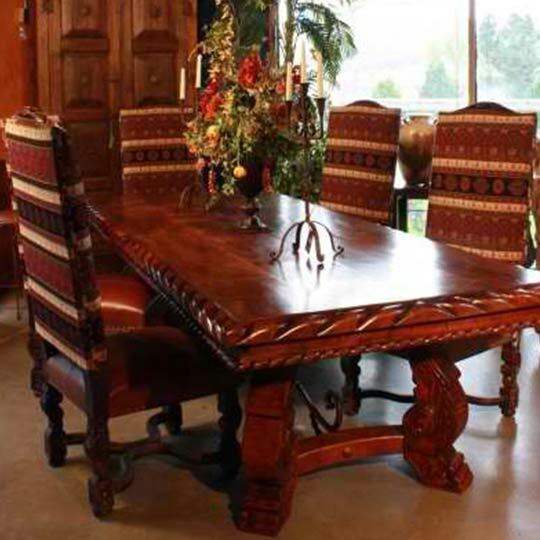 The different styles include 'Concha' a formal chair with intricate hand carving and design detail perfect for the classic spanish, tuscan or mediterranean home. 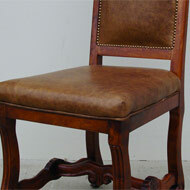 Fabricated with hand tools no two chairs are exactly alike. 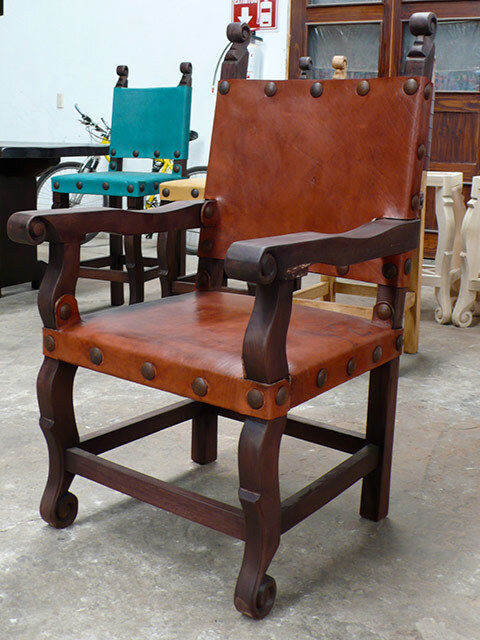 The ‘Colonial Spanish' is rich in tradition, a simple high back frame chair with leather seats and back fitted with traditional clavos. 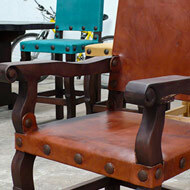 The ‘Casa Mexicana’ is a leather or fabric upholstered chair with an arched back embellished with nail heads. 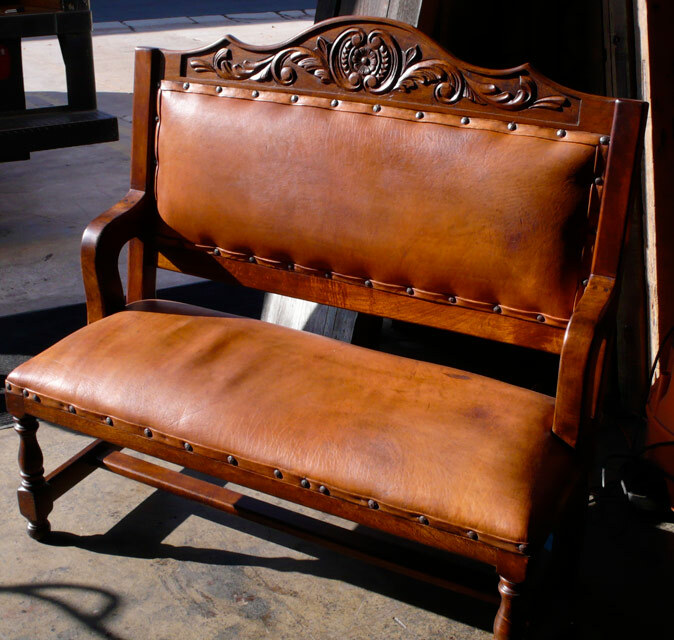 The ‘Circa’ is a ladder back mesquite wood chair with leather seats, a traditional style which can be added to any decor. 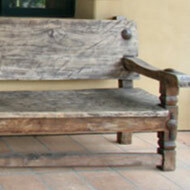 The 'Rancho Primitive’ is a pine wood chair with palm seats and decorative wooden open backs. 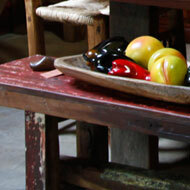 Casa Mexicana brings together the perfect mixture of old and new; formal and fun. 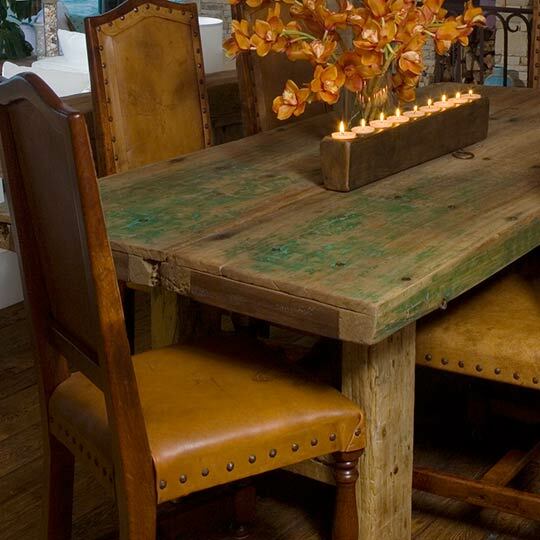 You can bring the same sense of place to your home by combining formal Concha dining chairs with our reclaimed-door bench seats. 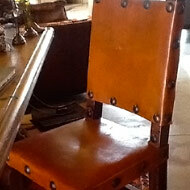 Or perhaps primitive Rancho chairs with more formal, hardwood benches. 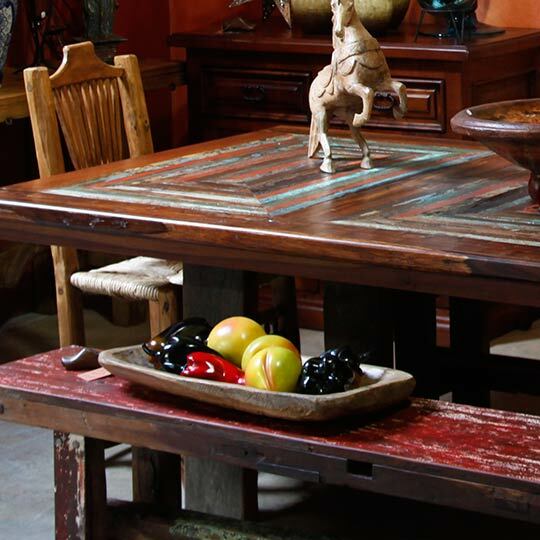 Whichever your style, Casa Mexicana can customize our inventory to fit your tastes and space. 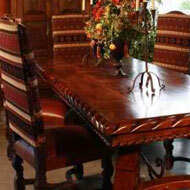 Casa Mexicana provides a variety of styles for indoor and outdoor use. 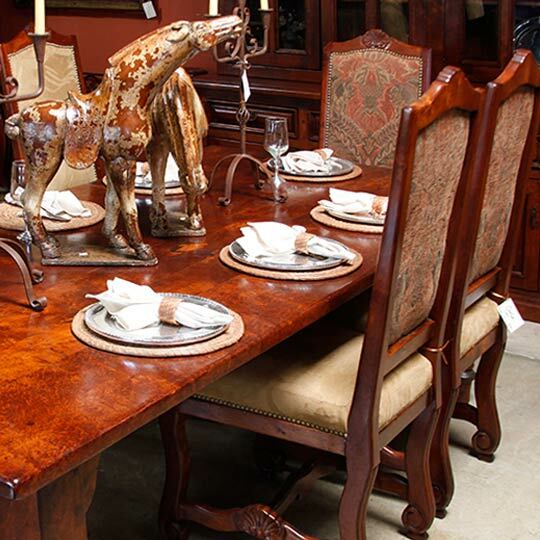 Many of these pieces are one of a kind. 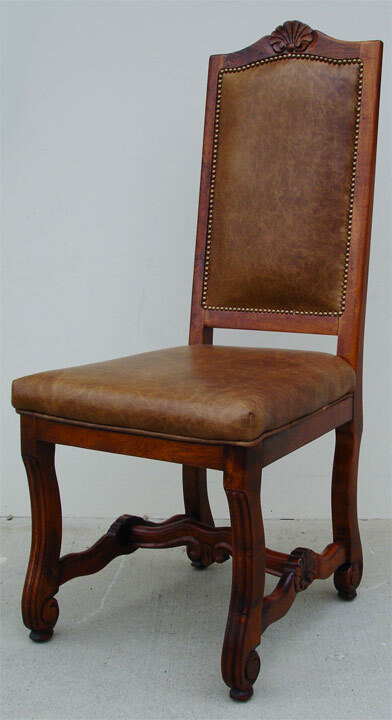 You can choose to have one made from the different chair styles above or create a piece by using one of the antique doors. 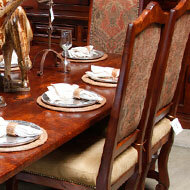 If you don’t see exactly what you want, let us know and we’ll be happy to show you more options. 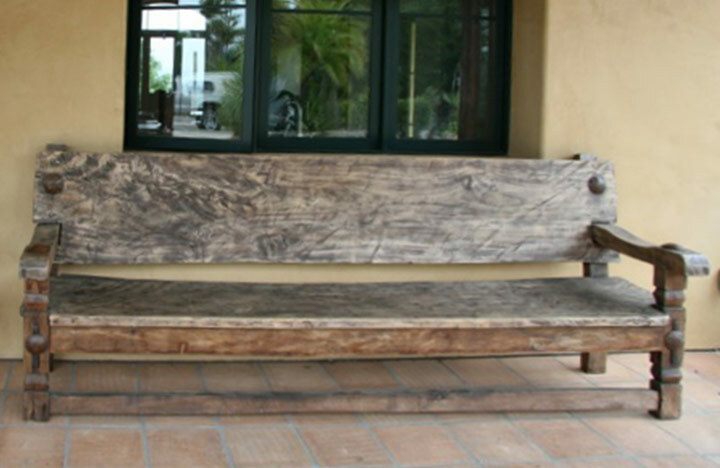 Our Rancho Mesquite benches are perfect for lounging in the garden or by the pool. They are both comfortable and beautiful. 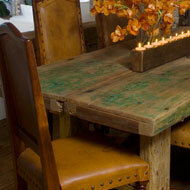 Hewn from large slabs of extremely hard mesquite wood, they are grand pieces both in size and weight. 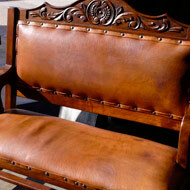 Perfect for outdoor use. 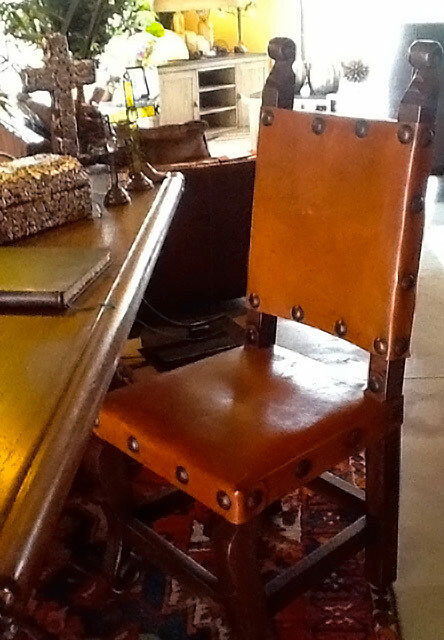 They say "You could tie up your horse and know it's not going anywhere". Usually in 6' and 7' lengths. They can withstand a hail storm and anything else you want to throw at them.